Recesionista is one of those buzzwords of 2008 that’s getting a little overplayed. In my small world, it’s feeling more like Great Depressionista— in regard to fashion and the economy. Looking at these pictures from the 40’s, they look like what you see in a lot of Soho shops & vintage Americana brands these days like– RRL, LVC, Warehouse, etc. There are great, rugged pieces, and little, honest details not to be missed– like our friend’s chambray workshirt (above) that’s been mended time and again over the years– out of necessity, not for fashion. That looks like a great old pair of Levi 501s. I like how the front belt-loops are placed nice and snug to the fly. 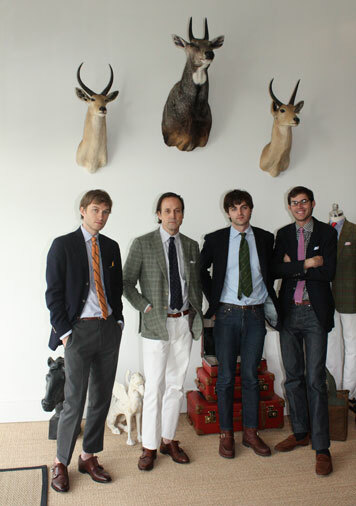 I had the pleasure of chatting with Sid Mashburn at the Warwick Haberdashery Show. He stopped by to see the Robert Redd line and hung out for awhile. 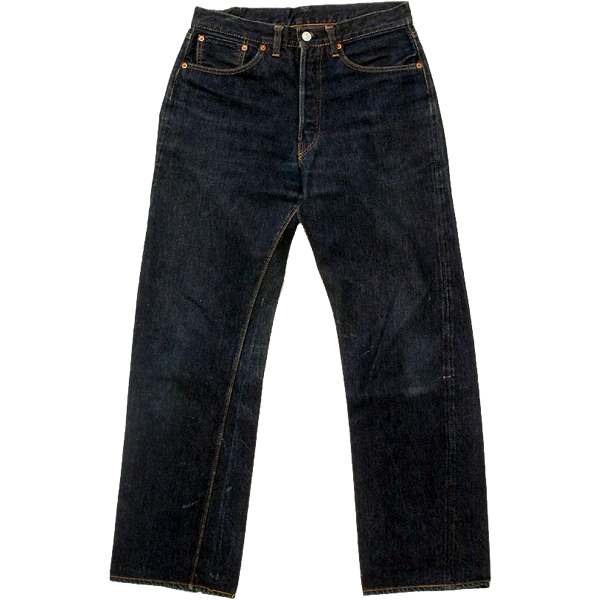 1950s Levi’s Vintage 501 – front. Check the leg twist you’d get with old, un-sanforized denim. Back view of a vintage Levi’s 501 jean. The capital “E’ on the red tab, introduced in 1936 and produced up until 1971. The brown leather patch- changed to “leather-like” cardstock in the mid-late 1950s. The red selvedge 10 oz denim woven by Cone Mills, North Carolina on 29″ wide looms. I wish it were a little denser- but I’m not complainin’. 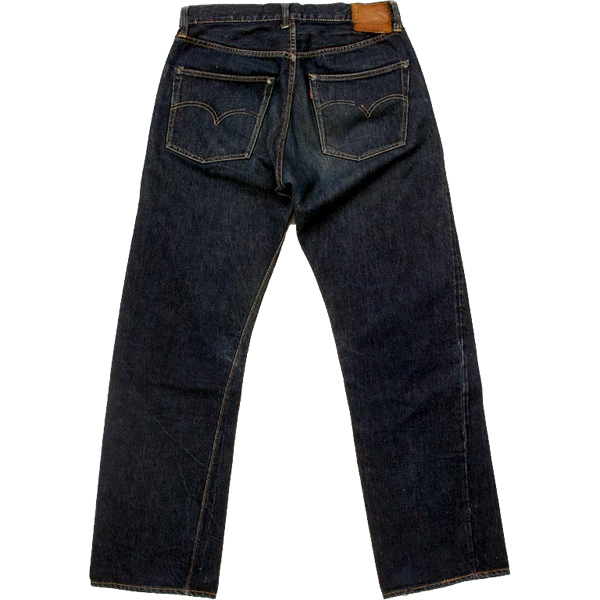 The incredible leg-twist that you get on a pair of vintage non-sanforized 501 jeans. The great tracks produced by the selvedge outseams from wear and bruising of the denim. The Arcuate stitching or “double arcs” on the back pockets- one of the oldest apparel trademarks still in use today. During WWII it was actually painted on to due to government rationing. The very narrow hem at the bottom leg opening, and all the great bunching and bruising from shrinkage and wear. Homesick Earl Nesbitt found himself in Paris, France and is preserving the Texas look by wearing jeans and boots. I'm guessing that could be a picture of his mother on the desk there. Taken by his father - Gordon Esbitt in 1951.